The Fat Quarter Shop is excited to welcome Lori Whitlock to the Jolly Jabber. 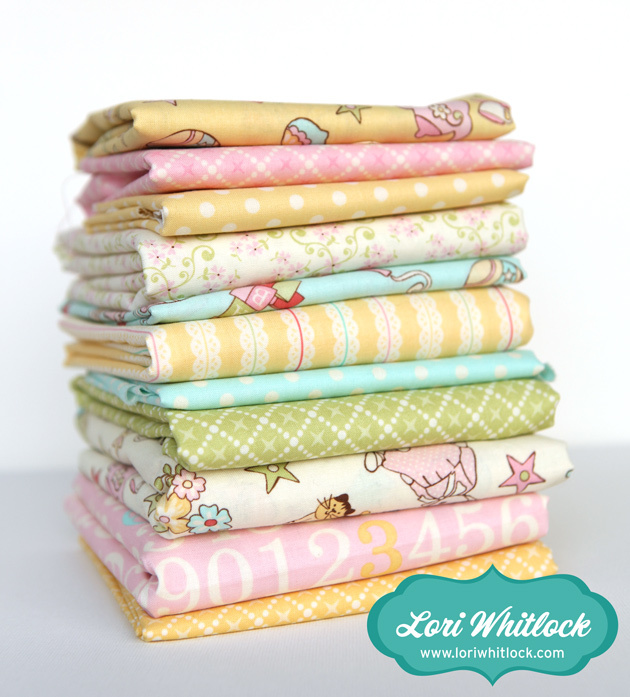 Lori’s latest fabric collection and one of my absolute favorite collection of 2012 is Vintage Baby from Riley Blake Designs. Q: What or who would you dedicate this collection to? A: I would like to dedicate my Vintage Baby collection to my two daughters. I have loved every single minute of their childhood. This collection reminds me of all the sweet memories we've made. I'd also like to dedicate this collection to my mother for teaching me to sew and teaching me to reach for the stars. 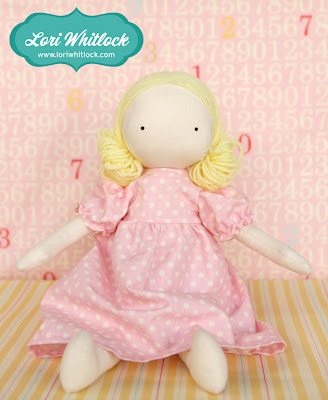 A: I love this darling "Emma Jane Doll" that I designed to go along with the fabric. She was inspired by a little doll my grandmother made for me when I was a child. 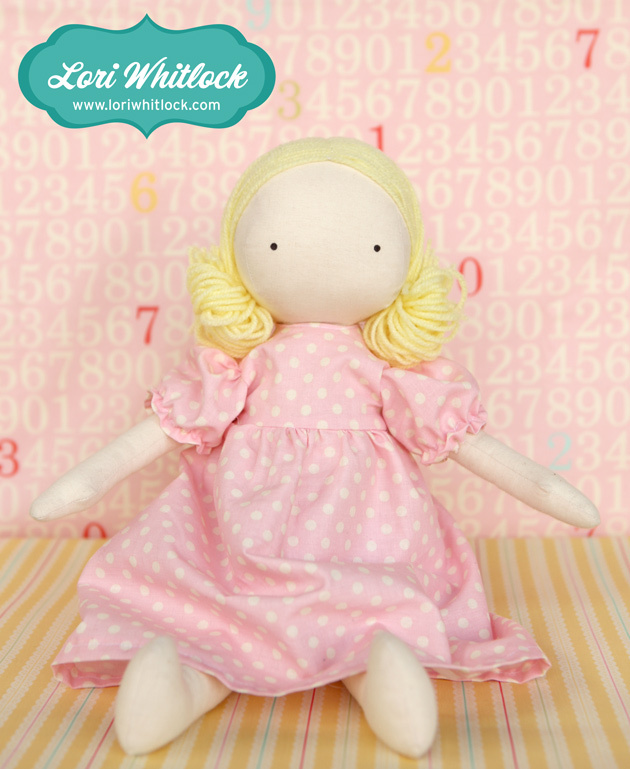 In the fabric you'll notice a little vintage baby doll. I thought it was totally necessary and appropriate to design a real baby doll to go along with the fabric. I think she's adorable and certainly one any little girl will fall in love with and cherish forever. The pattern will be available within the month. 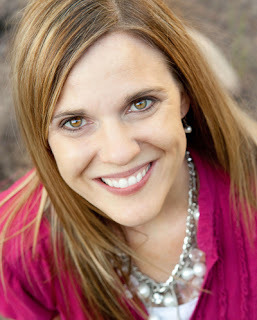 Watch for news regarding its availability at www.loriwhitlock.com. A: I think I'd stay right where I'm at. I love my family so much that I wouldn't want to change a thing. If I went into the future I'd miss my children growing up. And, I certainly wouldn't want to go back before they were born. However, if you had a fountain of youth, I'd jump right in! A: I loved to watch old re-runs of "I Love Lucy" and "The Three Stooges" (I know... I'm an anomaly!). I also remember loving Sesame Street and Scooby Doo and Captain Kangaroo. Boy, does this make me sound OLD or what?? A: I work with Becky Higgins. I guess I'd say she's the most famous person I currently work with. A: Right now, I like Hey Tell. Hey Tell is like texting, but I don't have to type. It saves me so much time. I also love Pandora. Pandora keeps the tunes flowing which keeps the creativity turned on. Oh, and I can't forget the Pinterest App! What exactly did we do without that just a little while back?